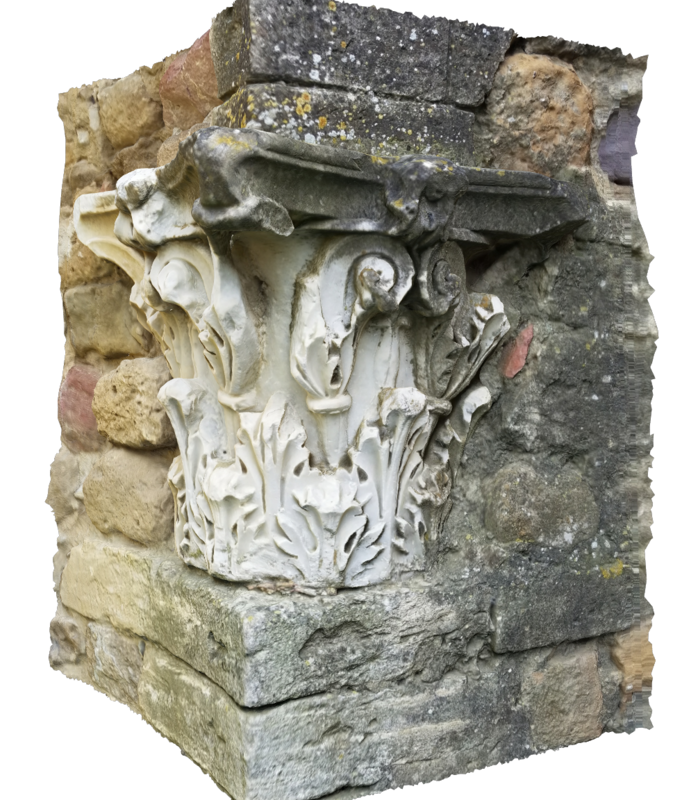 In October, 2016, our team embarked upon a journey of great significance to digitally reconstruct and preserve many of the historically significant architectural, archeological and artistic treasures of the ancient city of Volterra, Italy. The results of our first workshop and subsequent workshops in June, 2017 and April, 2018 have had great value to the City of Volterra and have been recognized by nearly 40 international publications. We are very proud that our work was one of four projects to be recognized by the prestigious American Institute of Architects Technology in Architectural Practice Innovation Awards program. 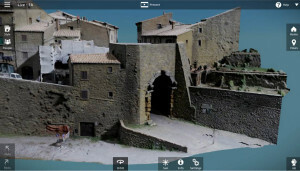 In addition to having produced spectacular photo-realistic virtual replicas which may be used to share the experience of the city to anyone in the world and for the city to have precise documentation for potential future reconstruction, the data has been used for research on ancient architecture which has resulted in significant discoveries which and have been presented at several prestigious international archaeological conferences. Click here for a detailed description of the past workshops and research efforts. There is still much work to be done and many more exciting discoveries to be made. We are therefore very excited to offer you the extraordinary opportunity to join our team for our next workshop. This workshop will provide an international educational experience in which participants will learn to use innovative reality capture and virtual reality technologies to collaboratively produce three dimensional computer models of the ancient City of Volterra, its archaeological remains and some of its treasured artwork. This workshop will provide the participants hands-on experience in using drones and cameras through photogrammetric technologies and laser scanners to capture the city and some of its treasured artworks into digital models which will be experienced through virtual reality systems. The workshop will be led by subject matter specialists from Autodesk and Case Technologies and will take place at the Volterra International Residential College. It will provide an unprecedented opportunity for participants to learn hands-on about these new, innovative technologies while collaboratively producing digital replicas of one of the most beautiful cities in the world while living and working there for two weeks. We will utilize hand-held cameras to photographically capture artefacts, sculptures and small sites within the city and in museums. We will also utilize Unmanned Aerial Vehicles (UAV’s) or drones to photographically capture larger areas and sites outside of the city. Textured mesh models and point cloud models will be produced from the photos using Autodesk ReCap Photo software and cloud services. 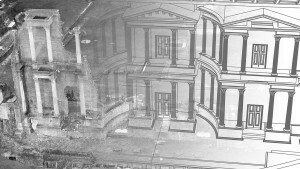 Building exteriors and interiors will be captured into detailed point clouds using laser scanning technology. 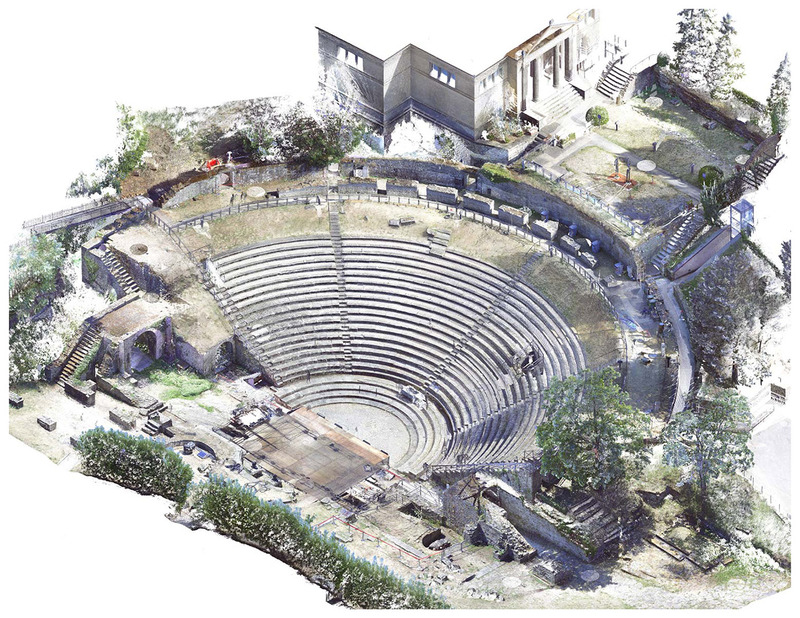 The point clouds will be registered and processed into models using Autodesk ReCap technology. Textured mesh-models will be created from ReCap for visualization uses. Point clouds will also by linked into Autodesk Revit software to be used to construct detailed Building Information Models (BIM). Models created will be prepared and optimized for experiencing through Virtual Reality systems using Autodesk 3DS Max Interactive (Stingray) and Revit Live. Models will be brought together and combined with GIS data using Autodesk Infraworks technology. There is no shortage of historically significant subject matter in and surrounding the city. While we have a preliminary list of sites and research ideas in mind, we believe it is most beneficial to establish the final program collaboratively considering the specific interests and desires of the team. Therefore, we will conduct regular conference calls with the team leading up to the workshop to establish the final program. Architecture – Efficiently creating Building Information Models of existing structures for use in as-built documentation, facilities management and design retrofits from laser scans. Urban Design and Planning – Efficiently creating digital models of large, complex urban environments captured using photogrammetric technology via drones and combined with other site features using GIS data. 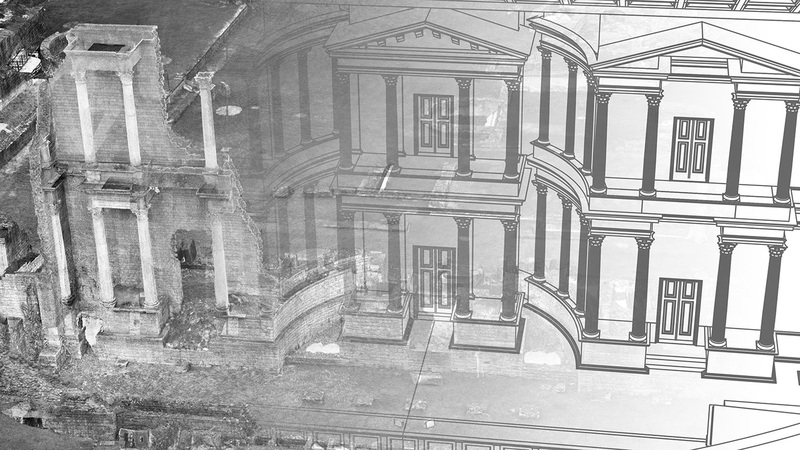 Historical Preservation – Creation of photo-realistic digital models of historic structures and artifacts captured using photogrammetric technology via drones and laser scans that may be used to better document important works and for potential use in reconstruction. Archeology – Efficiently creating accurate digital representations of archeological sites such as the Roman Theater captured using photogrammetric technology via drones and laser scans. Also, combining known but buried archeological sites in a digital city model to better communicate the important history of cities. Art History – Creation of photo-realistic digital models of important historical works of art via photogrammetric technology and laser scans to better document, study and share the works of art. Also, digital models could be used to create physical replicas of the art that may be experienced by touch. Public Relations, Marketing, Tourism – Using all of these technological processes to better communicate the experience and rich history of a city. While we would prefer to have participants who have some familiarity with reality capture and modeling processes, novices are welcome as the length of the workshop permits adequate time to learn the technologies. We will also provide selected participants with introductory learning material on the software we will be using before the beginning of the workshop so that you may have time to familiarize yourself. The workshop will take place over a 12 day period which will allow adequate time to produce the outlined subject matter and to provide the participants with hands on training and experience with all of the reality capture technologies and modeling software. Total participants will be limited to nine. Workshop facilitators will lead groups of participants who will focus on different subject matter and/or capture processes and modeling processes. Participants may shift between various processes to gain experience in all aspects or may choose to focus on particular aspects of interest. Final format will be determined via input from the participants and their specific interests. All participants will be accommodated at the Volterra International Residential College in the historic center of Volterra. Please visit the Volterra-Detroit Foundation website for more information about the facility. (http://volterra-detroit.org/2015/09/11/volterra-international-residential-college). There is a communal kitchen at the facility where students and faculty can cook their own meals, or they can eat at the local restaurants (meal plan details are below). All team work and the presentations will be held in the same building (unless otherwise stated in the program schedule), in the academic facilities on the first floor. The fee covers the accommodation at the Volterra International Residential College and the workshop fee. The fee does not include students’ airfare and travel costs, food and health insurance. The Volterra-Detroit Foundation will also offer an optional, flat rate pre-paid Meal Plan to the workshop participants, at a significant discount over the regular prices; and which is realized at two selected restaurants in Volterra. The cost of the Meal Plan (TBD – coming soon) per student and includes breakfast, aperitif and dinner with one glass of wine. We highly recommend participating in the meal plan as this provides the team opportunity to share progress and coordinate efforts. Optional day-trips to surrounding cities such as Sienna, Pisa and Florence may be offered to participants based on interest at additional, but discounted costs through the Volterra-Detroit Foundation. Participants are free to travel on the weekend, or to stay in Volterra. Director of Services, Case Technologies, Inc.
Workshop training and communications will be conducted in English. All participants will be permitted to utilize any data produced for their PR, marketing and extended research purposes. Do not make final travel arrangements until you are notified of final selection! Program requires 9 qualified applicants by this date to proceed. If you are not selected or if the program does not receive 9 qualified applicants, your deposit of $500.00 will be refunded.